How in the world does Saturn have a hexagonal-shaped cloud belt at it’s north pole? When this image made the rounds a few weeks ago, I was left wondering. Lots of blogs re-shared the above image, but none of the articles at the time mentioned how such a region might have formed, or how it could have been sustained for over 30 years since it was first imaged by Voyager 2 in 1981. After some searching, I came across a paper published in Icarus in April 2010 titled A laboratory model of Saturn’s North Polar Hexagon that uses fluid dynamics to explain the cloud pattern. The paper itself isn’t publicly available (open access? please?). Fortunately Emily Lakdawalla of The Planetary Society wrote a great summary article in May 2010 that is available. It’s worth mentioning that similar geometries can occur in terrestrial storms with some hurricanes developing pentagonal eyes, though nothing that lasts for 30 years like we see on Saturn! As Jupiter is making it’s way off to the west, Saturn is beginning to rise from the east. If you have a clear view of the eastern horizon, Saturn should start to become visible in early March after midnight. 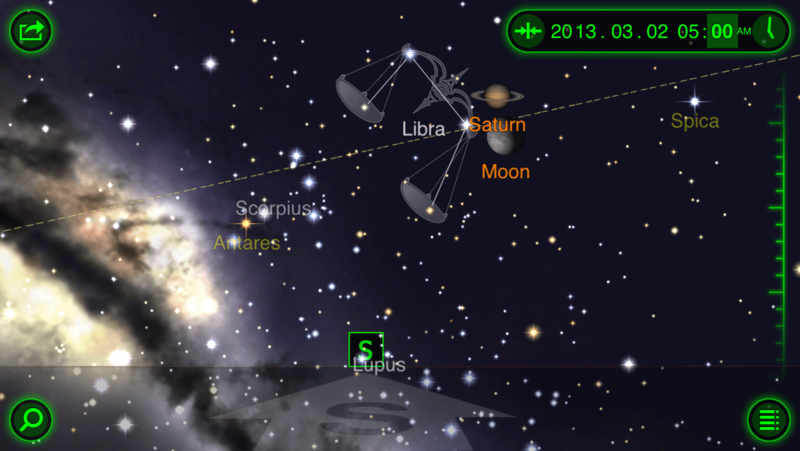 On the morning of March 2, look for a conjunction of the moon and Saturn. The best time to observe this should be around 5:AM when the bodies are highest in the southern sky.